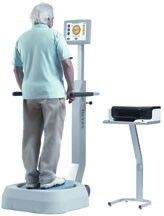 Biodex Medical Systems, Inc. announces new features available on the newly enhanced Balance System SD, a tailored balance assessment and conditioning system for athletes to older adults. The Biodex Balance System SD has been designed to meet the needs of everyone looking to improve balance, increase agility, develop muscle tone and treat a wide variety of pathologies. The system is an excellent tool in the fields of fall prevention, pre- and post-surgical rehab and serves as a neuro-rehabilitation tool for balance and mobility programs. The system allows testing and training in both static and dynamic formats. Nearly seven million doctor visits annually involve complaints of dizziness, loss of balance and vertigo, clearly demonstrating a need to properly diagnose and treat with accurate technology. The Balance System SD includes five test protocols, six training modes, and comes with new features: a larger 12-inch intuitive touch screen, upgraded software and a built-in interactive "Catch Game" for balance training, showing a patient's progressing skills. Testing and improving balance post-surgery for joint replacement is crucial to prolonged gait recovery. Extremely versatile, ithe Balance System SD provides fast, accurate Fall Risk Screening and Conditioning for older adults. Results are delivered within minutes and information provides critical data for use in determining the best therapy to reduce recovery time. Ideal for fall screening and conditioning programs, sports medicine and orthopedic patients and concussion management, the Balance System SD allows clinicians the ability to identify and modify the factors that lead to falls, before the falls, treatment and testing of joint replacements, ACL, ankle sprain, fractures, amputee patients and neurological disorders and is an objective tool in balance assessment for athletes. Trigenics® is a neurokinetic assessment and treatment system which rapidly relieves pain, improves mobility, and increases strength. It is practiced by over 2,000 doctors and therapists in 20 countries worldwide. Trigenics retrains the way the brain communicates movement and pain signals with the muscles. It works by combining 3 treatment techniques applied simultaneously for a therapeutic synergistic effect which is much more powerful than applying just one technique. 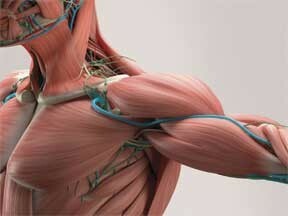 The 3 components are: resistive exercise reflex neurology, muscle nerve-sensor distortion, and bio-feedback breathing. Treatments are either manual or involve instruments. During Trigenics treatments, the doctor or therapist applies distortion to the muscle nerve-sensors (mechanoreceptors) while the patient performs specific resisted movement and breathing. Patients are interactive participants rather than passive recipients in the treatment process and must be properly trained to perform the correct movement and breathing technique to attain best results. Patients with neuromusculoskeletal pain and dysfunction see measurable results on their first visit. Clinical evidence has proven that Trigenics treatments result in long-lasting positive effects. Trigenics is used by manual medicine physicians such as osteopaths, chiropractors, physiotherapists, and licensed massage therapists. Athletic trainers and coaches also use specific variations of Trigenics for full-body comprehensive neuromuscular assessments for correction of imbalanced muscular pull patterns and biomechanics. For further information on Trigenics and upcoming seminars, email institute@trigenics.com or visit their website.